Featuring our high quality, beaded edge, rayon acetate ribbon that is hot stamped using our premium quality foil. 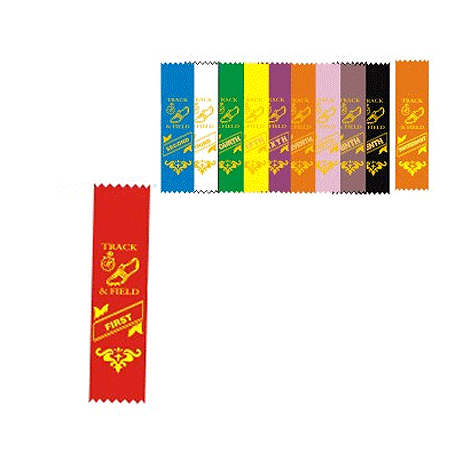 Participant ribbons available in black or orange. Pleated 4 1/4" Diameter Head and three 10" streamers. Pleated 3 1/2" Diameter Head and one 10" streamer.